The National Parliament approved today, December 12, 2018, the General State Budget (OGE) for 2019 in generality, with 40 votes in favor, 25 against and zero abstentions. 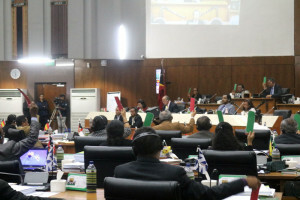 The specialty debate and vote which follows, according to the Rules of the National Parliament, cannot exceed 10 days. After the conclusion of the discussion and voting of all the articles of the bill, there will be a final overall vote on the text with the approved amendments. The final document, the General State Budget Law for 2019, will then be sent to the President of the Republic for promulgation. The Prime Minister, Taur Matan Ruak, in his speech at the end of the general debate, stressed that this budget "is fundamental for the nation and for the people" and "marks the end of a period of uncertainty" with a new @cycle stability, financial and economic stability”. The OGE for 2019 has a total amount of $ 1,827 million to cover expenditures of all state agencies, departments and institutions, $ 87 million for loan-financed projects and $ 162.6 million from Development Partners. To read the speech of the Prime Minister presenting the OGE 2019 click here for portuguese version and here for tetun version.